Even the British weather has made an exception and welcomed our delegates. 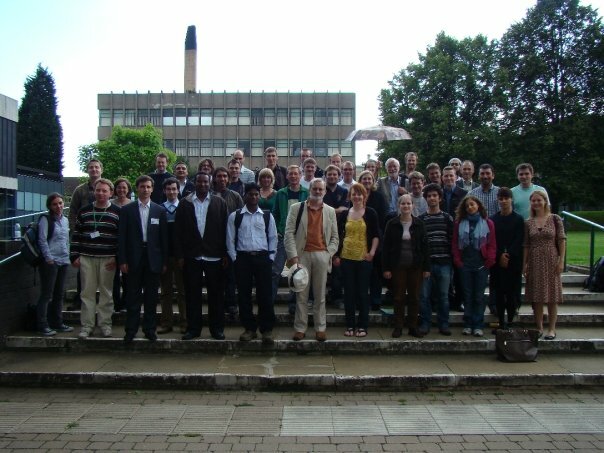 The 7th EPFDC was held at Ilmenau University of Technology in Germany on 15-17 July 2014. 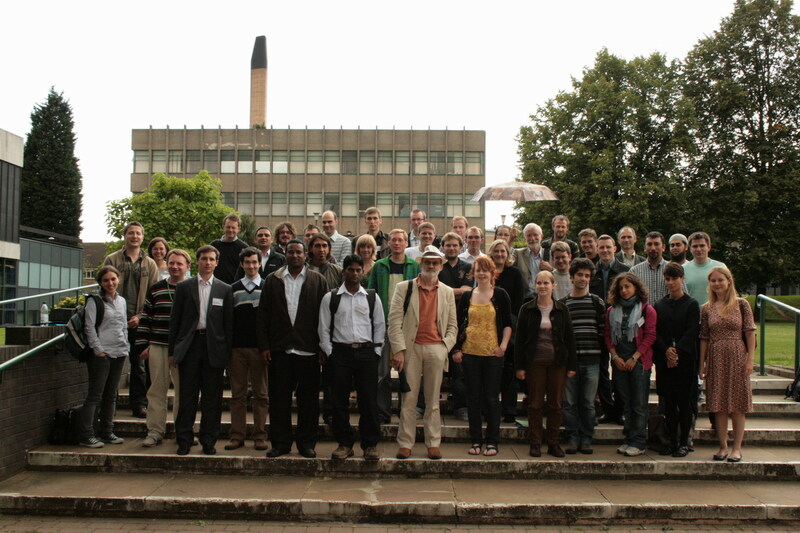 The 4th, 5th and 6th EPFDC, held at ESPCI in Paris on 3-7 July 2010, at the German Aerospace Center in Göttingen on 9-12 August 2011, and at the Imperial College in London on 10-12 July 2012, have all been a continuing success. The 3rd EPFDC meeting has enjoyed 31 talks and 9 posters covering many aspects of theoretical and experimental fluid dynamics. 40 delegates from 8 countries brought the conference to a truly European scale, and the extended time of the meeting has allowed four esteemed academics across the Europe to come and share their expertise with young researchers. The quality of all presented talks and posters has been remarkable, making the judgement hard to our Invited Speakers. The Best Talk Award is given to Andre Nicolle (University College London) for the talk entitled Flow Through and Around Groups of Bodies, and the Best Poster Award is given to Georgy Kitavtsev (Humboldt University of Berlin) for the poster entitled Derivation, Analysis and Numerics of Reduced ODE Models Describing Coarsening Dynamics. Our Feedback and Photos pages are also available. The EPFDC is a conference organised by, and aimed at, postgraduate researchers in fluid dynamics and related fields. Two previous conferences have been held at Birmingham University (2007) and Keele University (2008). These were both successful events, providing a forum in which postgraduate students researching in the broad area of fluid dynamics were able to present and discuss their research within a group of peers. The conference includes plenary lectures by eminent academics with a varied range of research interests. These lectures are designed to inspire postgraduate students and give new insight into where their own work may lead. The conference also provides a friendly environment in which those new to speaking at conferences may present their work, and previous conferences have shown a high standard of presented material. It is hoped that almost all participants will give a short 20 minute oral presentation or bring a poster, although this is optional. Poster sessions and social events provide the opportunity for more informal feedback and a chance to network with other students as well as with plenary speakers. Please download a conference poster for your department. The EPFDC-2009 is sponsored by the London Mathematical Society (LMS), the European Mechanics Society (EUROMECH) and the Institute of Mathematics and its Applications (IMA). This and last year's prizes for the best presentation and poster are provided by Springer. Last year's conference attracted participants from 6 European countries with 30 presentations and 9 posters. It was organised by students at Keele University who obtained funding from the Research Institute for the Environment, Physical Sciences and Applied Mathematics (EPSAM), the London Mathematical Society (LMS) and the MAGIC consortium. The organisers are grateful for the generous financial support.